"I'm very confident that there won't be a decision at this session," he said. "We've delivered nearly everything that UNESCO has asked of us, and by next year we'll have done that." 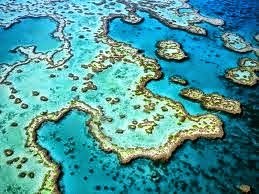 However, Josh Coates from the Cairns and Far North Environment Center said despite the action taken by the government to protect the reef, there were an "unprecedented number" of dredging proposals along the Queensland coast. "Those are actually going to be releasing more sediments and more nutrients into the water column, impacting on the reef and their in-shore environments," he said.